Just finished a game of my Cossacks (21 FSP, Reconnaissance 11, Force Size 66, Motivation 32) against Swedes (28 FSP, Reconnaissance 4, Force Size 53, Motivation 25). 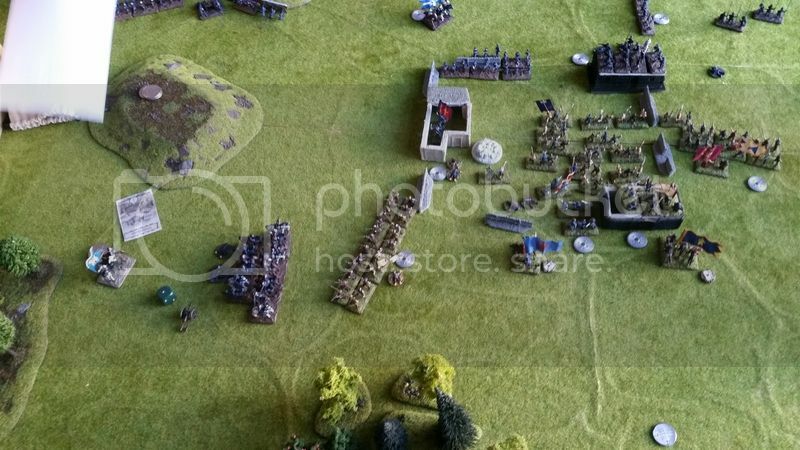 Scenario was "Defence of the Village"
I deployed 2 x 3 bases of Registered Moloitsy in two houses of the village. The Vanguard concentrated on the left side of the Cossacks where there are 2 bases of Plastuny und 4 bases of Mounted Cossacks. 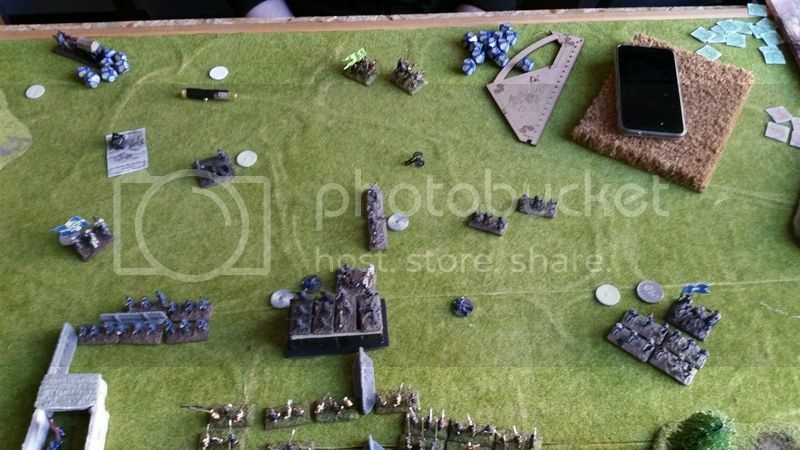 The last mentioned got charged by a 6-base squadron of Reiters but the Mounted Cossacks broke off (of course they didn't pass the skill check and ended up looking in the wrong direction). So no close combat. All units except the Mounted Cossacks had a Defence Order and the Reiters kept their Charge Order. This generated +2 Reconnaissance Points for the Cossacks andnone for the Swedes. For Reconnaissance Effects we both selected Decisive Moment and additionally I selected Flanking Maneuver for my Elite Mounted Cossacks. The Reiters of the Vanguard again charged the Mounted Cossacks which again did break off (and again ended up looking in the wrong direction). Die Cossacks advanced on a broad front while the Swedish 12pdr reduced one of the wagons to splinters. 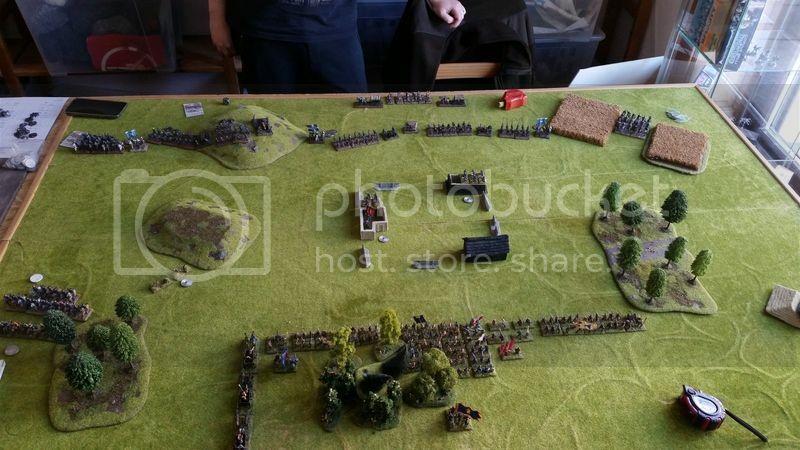 The Skirmishers entered the village due to their inbuilt Forced March and one base of Registered Moloitsy was shot out of the front house followed by a really bad morale test (1 base lost and 2 further wounds because i rolled a 10). 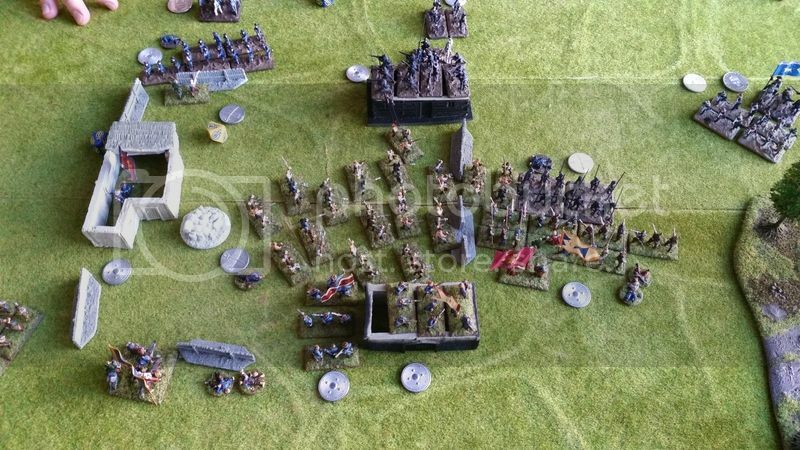 The Vanguard units on the left charge each other which caused the Mounted Cossacks to flee from the field completely (they couldn't break off again because there was no room for this). 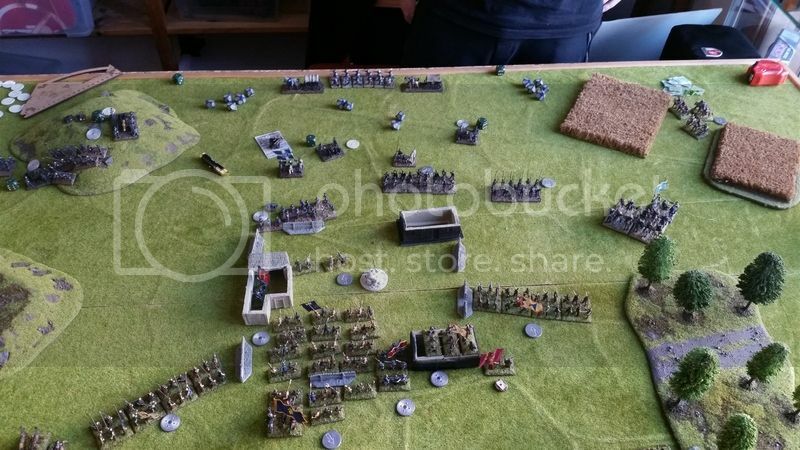 The Reiters didn't follow and just stood there for the rest of the game because the nearby Swedish Commander was occupied to command the insubordinate Armoured Veteran Reiters. The 12 pdr destroyed a second wagon. The Rabble enters the village and the second Registered Moloitsy Rota occupies the remaining empty house. The Elite Mounted Cossacks appear on the right flank. The front house get cleared by the Swedes. The Rabbel moves further into the village. In the left house the last base of Registered Moloitsy stubbornly refuses to die despite being peppered by case shot and cannon balls. 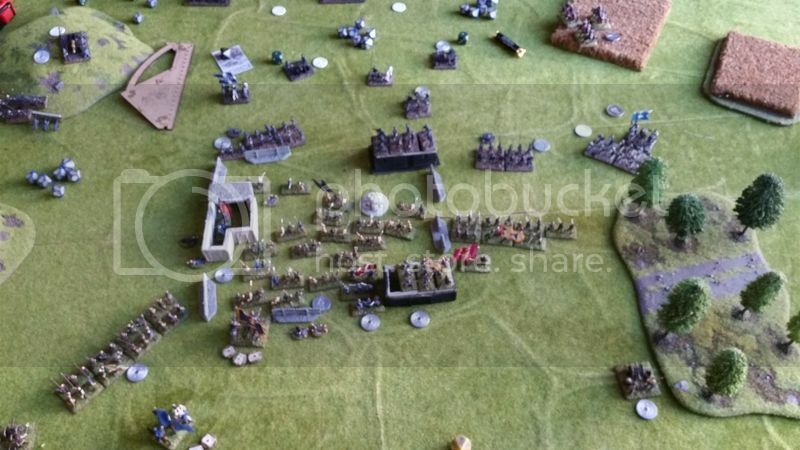 On the left side the Armoured Veteran Reiters wiped out the Plastuny. 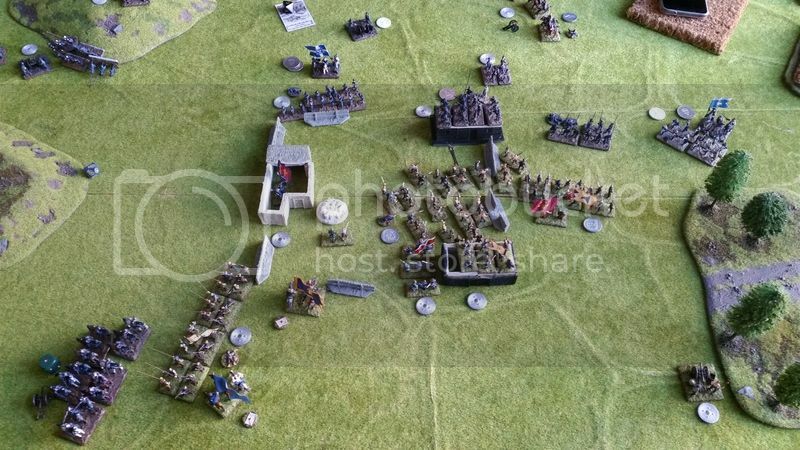 At the right side the 6-base Dragoon squadron move to far and looses two bases due to case shot and Moloitsy fire and retreats disorganised. 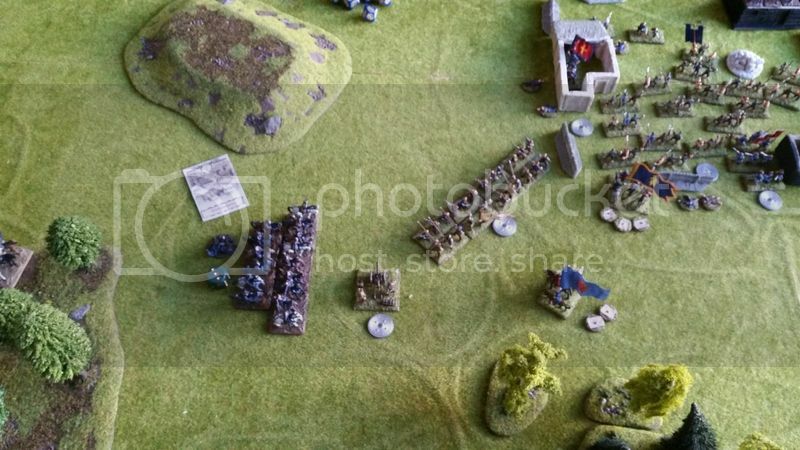 The Skirmishers in the village attack the advancing Musketeers but retreat disorganised. The Armoured Veteran Reiter charge the wagons and destroys them.. The Mercenary Musketeers occupy the front house. 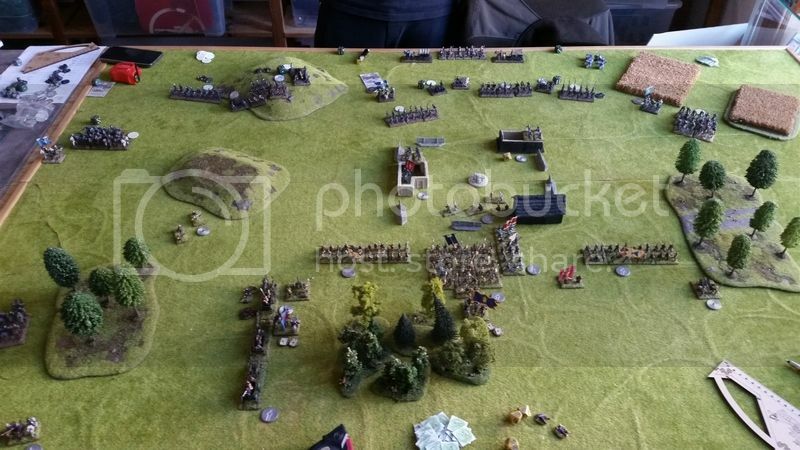 The Mercenary Pikemen on the right side charge the Moloitsy but where charged by the Rabble in their flank (which where supposed to charge the building with the Mercenary Musketeers). The first round of close combat the Pikemen lost but the second round was a draw. Everyone withdraws bloodied but in good order. The Armoured Veteran Reiter on the left side destroy the gun on this side and charge into the Moloitsy which the push a bit back. The Elite Mounted Cossacks shoot the crew of a Swedish gun. The last shots of the Swedish artillery continue to put holes inthe roof of the left building but fail to destroy the last stubborn base of Registered Moloitsy. The Rabble charges the building with the Mercenary Musketeers. The Rabble wins and both sides receive some wounds. The Elite Mounted Cossacks are shot by the Mercenary Musketeers which did not fit into the building, loose a base and flee. The Mercenary Pikemen loose a base through shooting and flee as well. The last base Registered Moloitsy in the left house is glad that no one is shooting at them this time. Result: The village remains firmly in the hands of the Cossacks but receiv4ed heavy losses while the Swedes only receiv4ed acceptable losses. 6:1 for the Cossacks. 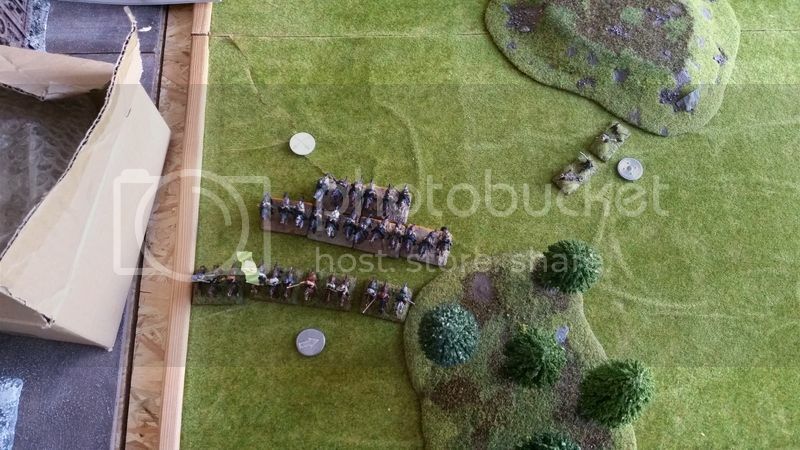 The Cossacks had left 5 Morale markers and the Swedes around 20. 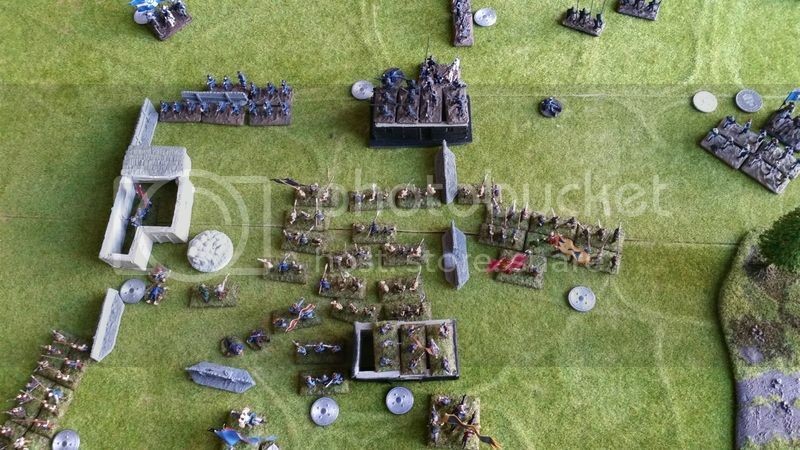 Conclusion: It is very difficult to remove the large blobs of Cossack units out of a given position. Cossacks always receive considerable losses while don't cause a lot of losses themself. 12pdr are disgusting against wagons. Scenario objective is often more important than losses my Tartar Task Force often has heavy losses. Świetny raport. Czytelny i zrozumiały. Thanks Daniel! It was a great game. Of course the objective is most important, yet you still have to clear that rabble, don't you :p. That rabble heroically cleared all his morale checks, well what can you do . Daniel nicely covered his village flanks and held out in the houses just long enough against arty hammering the walls. mission accomplished! 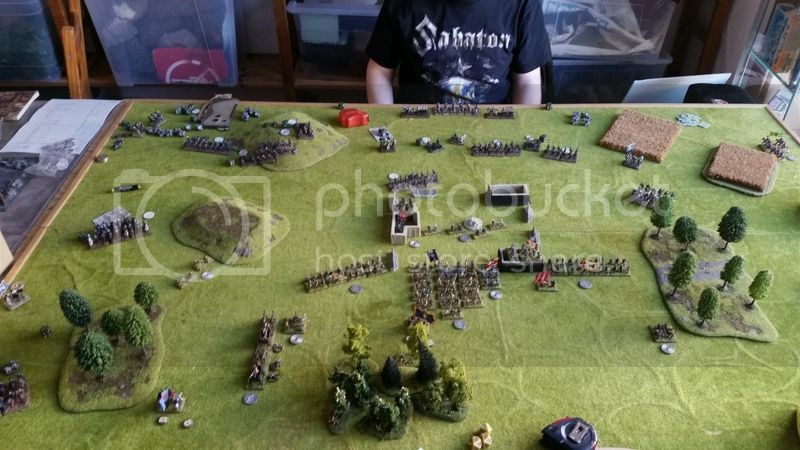 Being used to cavalry-based Swedes with an aggressive playstyle I am only slowly finding out how to play with infantry now for the task force .. if you find out only half way that pikemen don't have additional moves, well... The effects hit hard and deprived me from the orders required to bring significant parts of my force into battle, there was balancing indeed. But the first time fielding the recently-buffed 12pdr did compensate somewhat, I do admit that. Nonetheless the "more-time" required to play TF compared to skirmish was limited, a pleasant surprise.